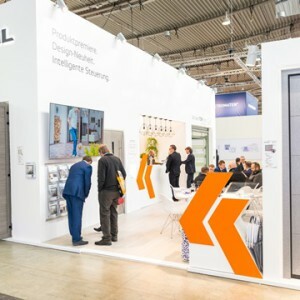 The warmest garage door by KRISPOL – VENTE K2 RFS 60 – was first shown during this year edition of BUDMA fairs, attracting the attention of our guests. WHAT ARE THE DISTINCTIVE FEATURES OF VENTE K2 RFS 60?? 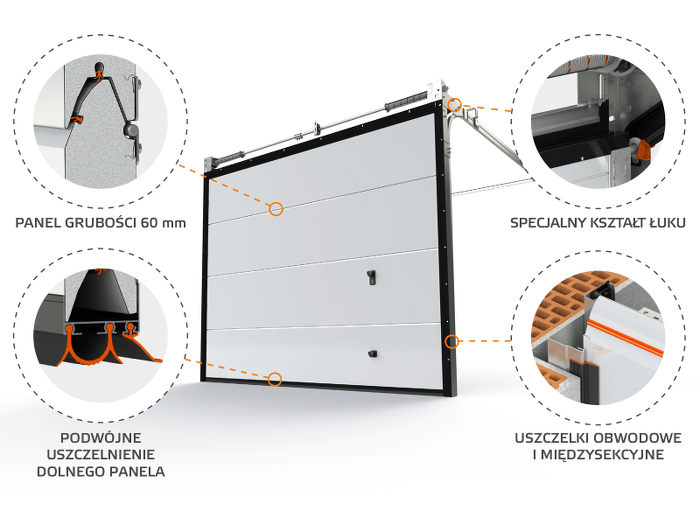 The essence of innovation are solid garage panels with a shape protecting the fingers, the panels are 60 mm thick and have the U coefficient at the level 0,39 [W/m²K]. This result is approximately 30% better than for 40 mm thick panels, what can be transferred into the coefficient at the level of U=0,9 [W/m²K] for the whole door (for the parameters: 5000×2500 mm). The panel has the same thickness of 60 mm along its all height – also in the place of joining the sections. The secret of the warmest KRISPOL door is not only about the thicker panel. The door has also been equipped with strengthened system of sealings. 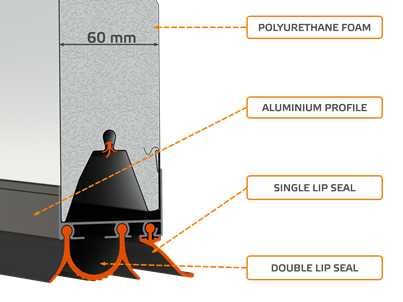 This system includes double sealing of the bottom panel: double lip seal and additional single lip seal. 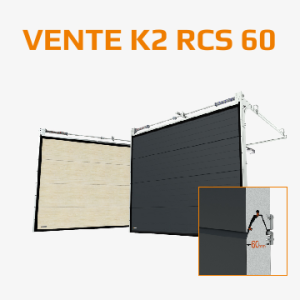 As a standard, the VENTE K2 RFS 60 doors have also additional circumferential seal (on the sides and on the top) of a special construction, which guarantees the reduction of thermal bridges between the wall and angles. 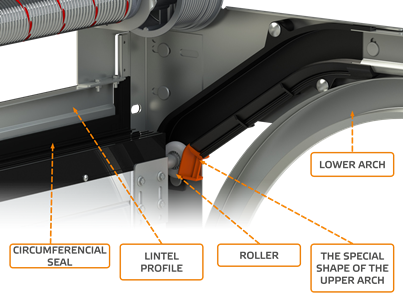 In connection with extended bottom sealing and sealing between the sections, it guarantees a perfect quality of insulation of the whole door. 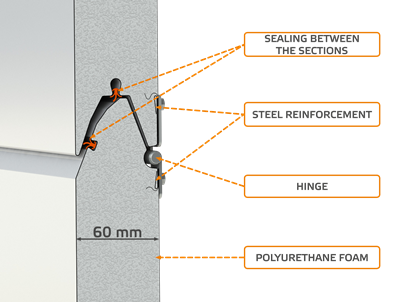 We have also applied the solution known from other KRISPOL doors – the shape of the upper arch. It has been designed to optimally press the upper panel of the gate to the lintel. It made the door even more sealed and safe. While developing the construction of the new door we did not forget about the uncompromised aesthetics, what has made us famous for years. The door VENTE K2 RFS 60 are made of plain, smart panels without embossing. 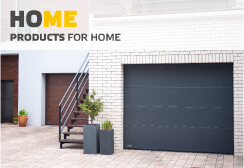 The door is available in the whole colour offer of HOME products. The Customers are given a choice of more than 250 colours – 210 RAL colours and more than 40 veneers! 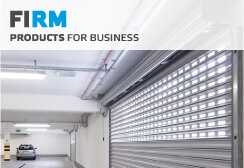 The standard equipment of VENTE K2 RFS 60 doors includes the protection in case the spring breaks, it is a safe construction of the panels, protection for the rollers, and an overload switch in the automatic doors. 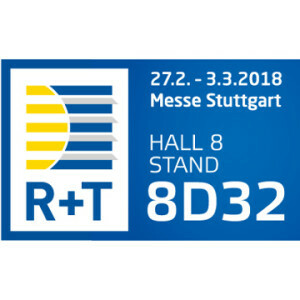 The doors VENTE K2 RFS 60 are available in the dimension that can change of 1 mm and three types of rail guides are available. The minimal required lintel is 150 mm. It gives huge possibilities of adapting the door to your needs. To find our more, contact one of our sales outlets.